TME’s offer has been enriched by new, complete sets of Heavy Duty Connectors (HDC) for wire-wire and wire-panel connections. These readymade solutions allow picking a required connector even with very little knowledge about the components. The only thing to do is to indicate the number of pins and the type of connection. 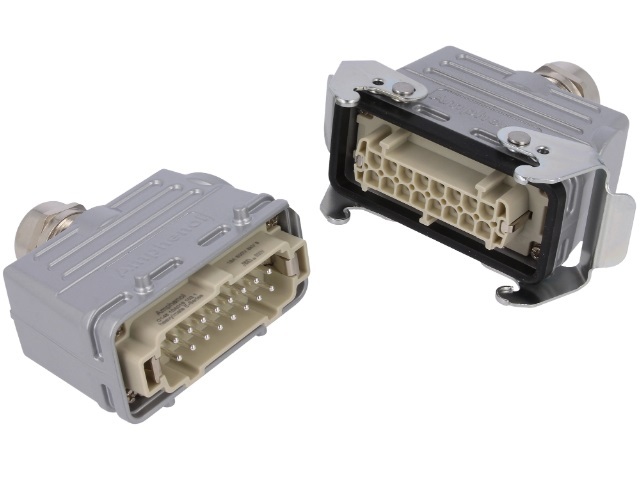 Another advantage of AMPHENOL sets is their compatibility with HDC connectors from other manufacturers.